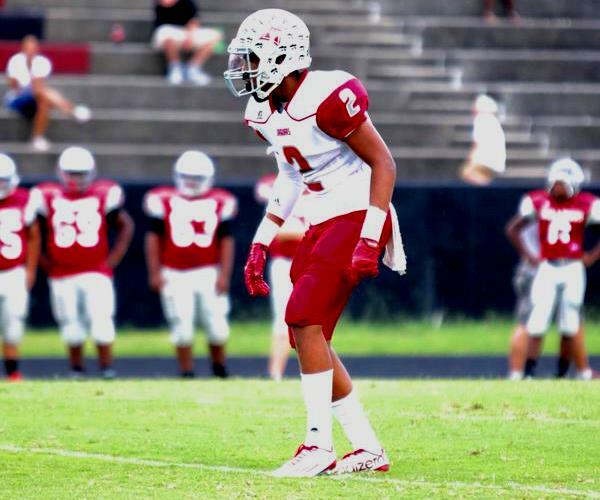 When we first saw Chris Bacon at the NUC 5-Star Showcase in April, he was ripping the ball from 4-star wideout, and Tennessee Vol commit, TaDarryl Marshall. That is quite the first impression for a virtually unknown player entering his junior year at New Manchester High. TaDaryll Marshall of Leeds makes the catch… Not so fast my friend.